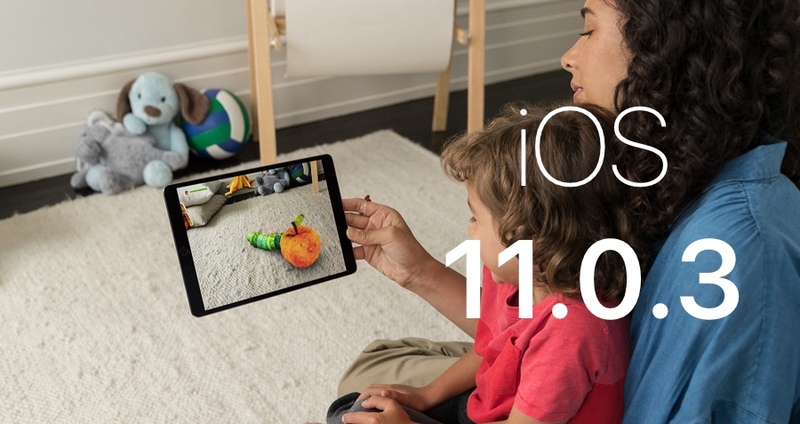 You can now download the iOS 11.0.3 software update for your iPhone, iPad, iPod touch and install it right away. Here’s what is new in this release. Apple continues ‘fixing’ iOS 11 even further with the release of iOS 11.0.3. 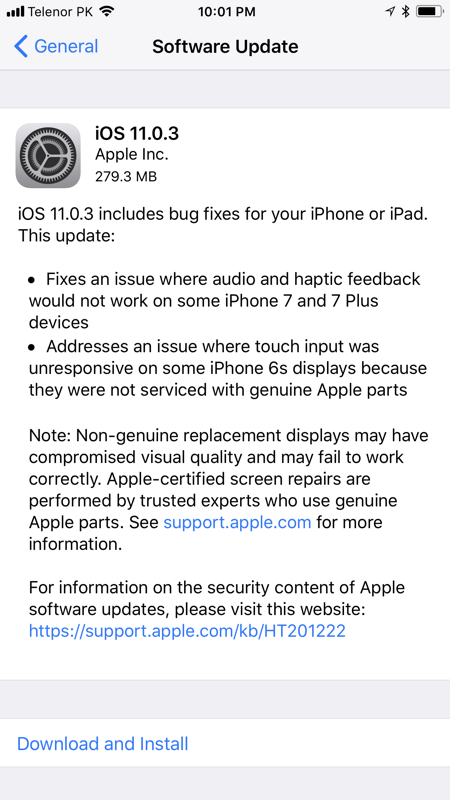 As you’d expect, compared to iOS 11.1 Beta, today’s release carries with it nothing more than bug fixes and other under the hood enhancements. So, if you were experiencing those app crashes while binge watching House of Cards, then this update should help with that in certain ways. The full changelog of the release, as per Apple in the Software Update section in the Settings app, is as follows. There are two routes you can take in order to download iOS 11.0.3 onto your device. First is the most straightforward one – navigate to Settings > General > Software Update and download the update over the air. The second route involves you connecting your iOS device to a computer using a Lightning cable and clean installing the latest firmware using iTunes. I will only recommend this route if you’re facing a load of issues on your device. This includes battery life related problems, performance slowdowns and the like. If you’re still up for it, then simply grab the iOS 11.0.3 IPSW file from the link below and follow the guides posted underneath. Please make sure that you download the correct IPSW file for your device. And if you are clean installing the firmware using iTunes, then it’s vital that you backup everything using iTunes or iCloud. You will lose all your files and settings during the clean install process. But of course, you can restore everything back, provided you have created the proper backups ahead of time. Let us know in the comments section if you have downloaded today’s update on your iPhone or iPad. Share your experience on the performance end too.